Now, we realize this educational video may be a bit confusing if you didn’t see the first one we produced. Check that one out here on our YouTube channel and tell us what you think! If registered as an unaffiliated (sometimes referred to as “independent” voter), last day to update your registration with a party preference IF you know which party’s primary you want to vote in. Otherwise, you will receive both major party ballots in the mail (Democratic and Republican) BUT may only vote and return one. 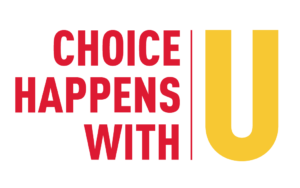 Unaffiliated voters who have not indicated a party ballot preference (deadline was May 29) will receive both a Democratic Party ballot and a Republican Party ballot in the mail in one ballot packet. 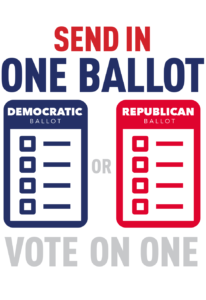 Voters should select, vote, and return only one ballot. For more information, see Unaffiliated Voters FAQ. See our Primary Candidate List for the state and local races for both the Democratic and Republican ballots. 2018 Primary Election Activities Schedule— This schedule outlines election related events before, during, and after Election Day. Official Notice of Election — As required by state law, this official notice of election was published on May 27, 2018 6 in both the Daily Camera and Longmont Times-Call.